☆ Allstars Calisthenics Academy ☆ welcomes all new participants and their families to join our Allstars Family on the Sunshine Coast! 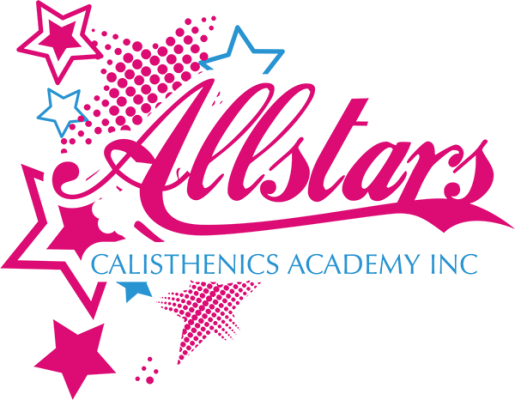 Established in 2008, at Allstars our aim is to promote the personal and social development, team spirit and physical well being of all our SUPERSTARS through our wonderful sport of Calisthenics. Allstars has a strong passion for seeing all of their SUPERSTARS achieve their full potential whilst gaining self-confidence, teamwork, and a sense of community. We offer competitive Calisthenics classes for ages 4 years and up. Our club is only as successful as its base of supporters and encourage you to become involved in our Allstars Family as the friendships and benefits are endless. For class times & to learn more about who we are at Allstars visit our website address above.